Big News: The Launch Party! | Big Heart Tea Co. The Big Heart Big Launch was a major success. And we couldn't have done it without all of you. Like literally. 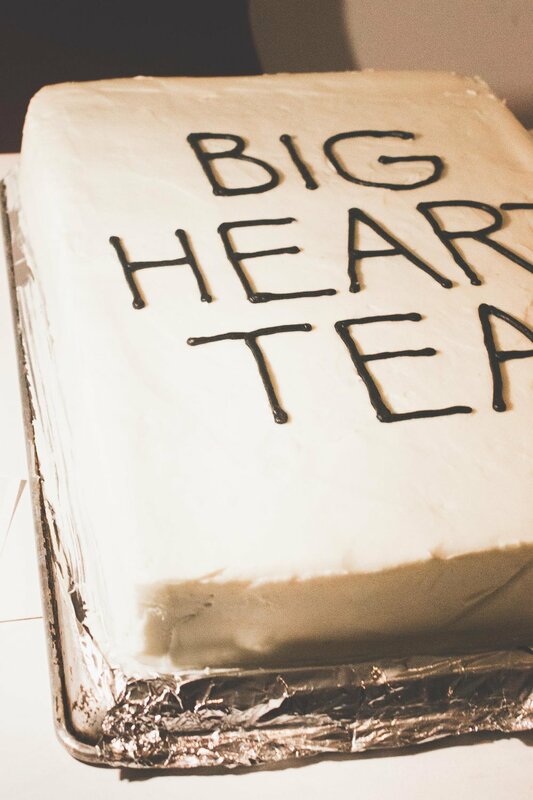 Our love for our customers, our accounts, and our family and friends make Big Heart Tea Co. what it is. And we are totally walking on Sunshine Dust over here. A big thank you to the folks who made our launch party come to life. Kevin Brennan, Matthew John and the rest of THE BHIVE staff. Your space is the dreamiest - thank you, thank you! Kitchen Kulture! Your food slayyyyed. We're pretty sure people are still talking about those meatballs. Kaldi's and Chris Phillips and Jordan Howe. You made our Sunshine Dust Latte dreams comes true. Whisk and Kaylen Wissinger. We're still thinking about that cake, girl! Billy and The Big O. Your ginger liqueur was the perfect addition in our Golden Bubbles, champagne toast. Clementine's Creamery and Tamara O'Keefe. That Sunshine Dust ice cream brought the yum and fun. Yellow Tree for all your hard work on the handmade spoons. We love them. And, Aaron Stovall - thanks for the tunes, dude. Dom would like to personally thank her boyfriend, Joe. Sherrie would like to personally thank her husband, Chris.